“Friends and wine improve with age.”…. an Italian proverb: Amici e vini sono meglio vecchi. Wines, like people, develop through their youth; some showing exceptional promise and those developing into a period of earned assuredness. As years pass, they acquire grace but then, eventually, frailty too. Even with the best of care, all wines expire. To be able to taste a wine along its life’s journey is like sharing the experience of a wine’s lifetime in one afternoon. So being invited, along with other reviewers, to participate in a tasting of (mostly) the Sangiovese wines of Col d’Orcia… well it was not something I needed to think about. Literally, Col d’Orcia means: “The hill overlooking the Orcia River.” It is in Tuscany, where grapes were grown by the Etruscans before the Greeks and the Romans. The main grape in Tuscany is Sangiovese, or as the locals call it, “Sangioveto”. It’s the grape you’re familiar with; the dominant grape in Chianti wine. But the Sangiovese of Brunello di Montalcino is never blended, (it is in purezza”) and that is the issue; the passion and the love of this challenging grape. Vines must be managed to limit yield. Left on their own, they will be over productive producing grapes with a poor sugar to acid balance, light color, high acidity and less alcohol likely to result in wine that will oxidize prematurely due to lower concentrations of tannins and anthrocyanins. Sangiovese is a thin skinned grape prone to rot on the vine. And the juice must be skillfully vinfied for it is fraught with issue. Chianti, for example, may be blended with Canaiolo and a percentage also of Cabernet Sauvignon, Merlot or Syrah. Previous to 2006, white wine grapes Malvasia and Trebbiano were allowed. Blending allows for better color and easier creation of body in the finished product. Some winemakers in Brunello deal with these issues by extending the maceration period from 7-12 days to 3-4 weeks to give the Sangiovese must more time to leech phenols out of the grape skins. They employ malolactic fermentation, providing a more rounded mouthfeel. Whatever the choice, or combination of them, when you taste a well-made Brunello di Montalcino, you can be certain the wine maker is highly skilled. So you’re not reading Wine Mizer to become an oenologist. Suffice to say then that three things will happen when you allow yourself to taste a Col D’Orcia Brunello di Montalcino. (1) You will be tasting pure 100% Sangiovese. (2) You will physically experience what this grape does by itself; on its own. You can’t claim to know grapes’ characteristics without tasting them unblended. Then, after the experience, go about your preferences, wiser as you will be. 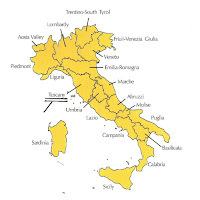 (3) You will be tasting Sangiovese from the Brunello di Montalcino awarded DOCG (Denominazione di Origine Controllata e Garantita) status in 1980 in recognition of the region’s unique terroir. 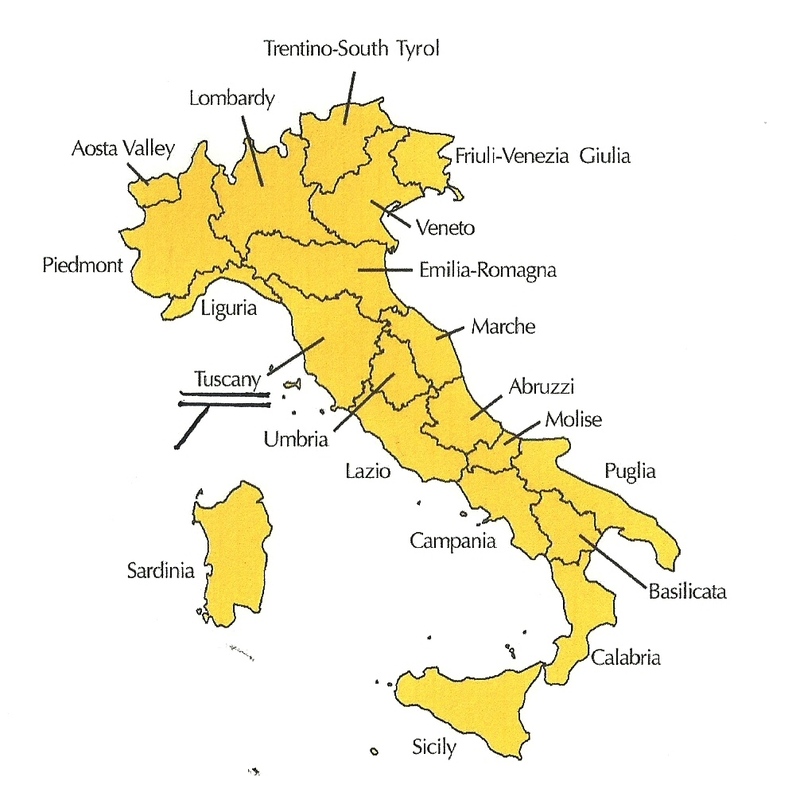 It is recognized by most as the best area anywhere to grow Sangiovese. 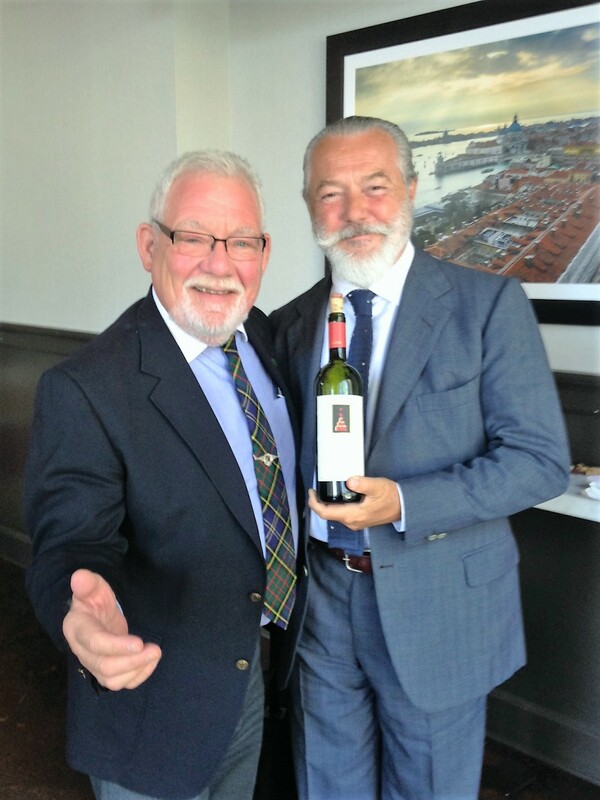 Meeting at Eataly in Chicago, Count Francesco Marone Cinzano, owner of the Col d’Orcia, arranged for us to taste several of his wines paired against the excellent preparations of Eataly’s chefs. 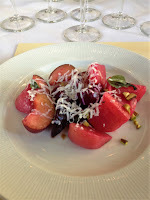 We began with a salad of roasted beets, seedling farm plums, Ricotta Salata, aged Balsamic and Pistachio. This was paired against a Col d’Orcia Spezieri (2014) and a Col d’Orcia Rosso Di Montalcino (2013). I would not reflexively think to pair a salad against a red. But Spezieri is a young, fruity wine and picked up the essence of the plum so well it seemed a natural. The Rosso di Montalcino was a natural progression. Tuscany is well known for its olive oil and grain production but the philosophy of Italy in general is that wine is a natural accompaniment to food. And the acidity of Sangiovese makes it a perfect meal partner. It is, as they say, food friendly. I would say, symbiotic: the wine making the food better and the food returning the favor. Spezieri is unaged and a blend of Sangiovese and its relative grape Ciliegiolo. 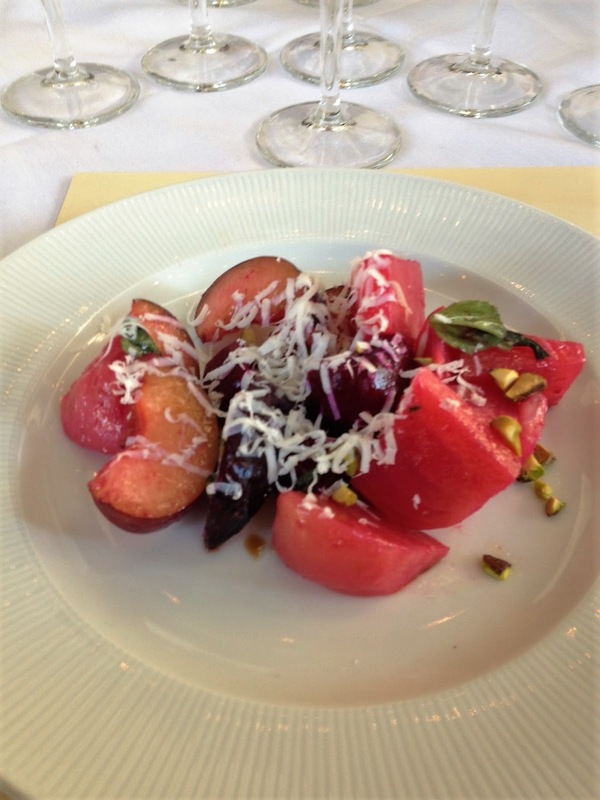 Ciliegiolo is a natural blending companion to unaged Sangiovese. 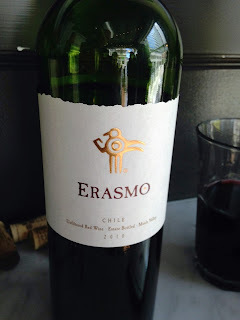 The aromatic, low-acid grape adds color and softness to the blend. In fact, the name itself comes from an Italian word meaning cherry and the wines produced from this grape impart both that aroma and taste. Slightly chilled, Spezieri is excellent for everyday meal pairing: light, fruity and easy drinking. With an ARP of $9, it’s also affordable as such. Rosso di Montalcino is pure Sangiovese, but still young. From Col d’Orcia’s estates it is produced from vines that deliver fresher and fruitier grapes. Released one year after harvest, it shows the typical structure of Sangiovese while still retaining a freshness and fruitiness of young wine. I was impressed, especially by these young wines of Col d’Orcia, because young Sangiovese can easily yield a glass laced with tannin, even astringently so. But I found each of these wines smooth; tannins detectable, but managed and controlled. (ARP $17). 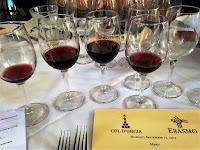 We then moved on to the Col d’Orcia Brunello D’Montalcino (a vertical tasting of 2011 and 1997). These are wines of pure Sangiovese joy (for me) offering expressions of cherry, earth, violet, plum, ripe berry, rosemary, fig, licorice and notes of leather. 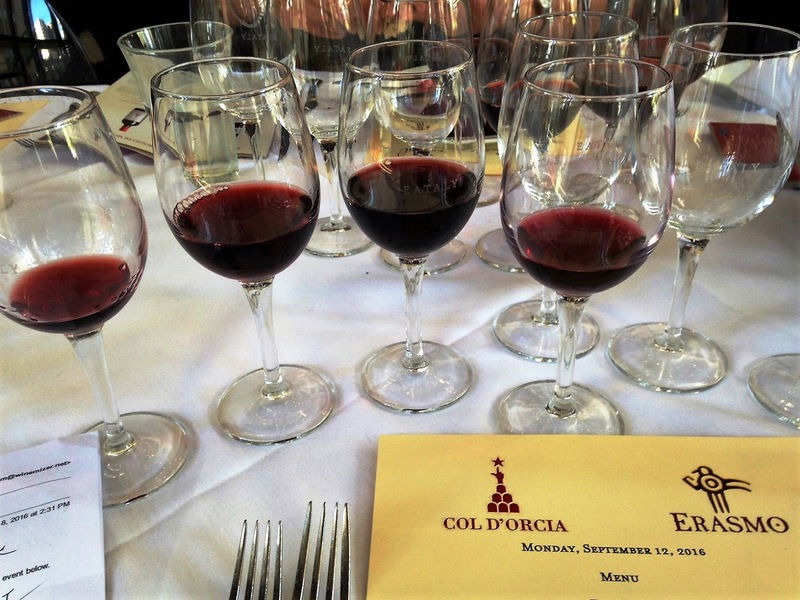 Brunello has the longest aging requirements in Italy and these wines are meant for aging. They need it, but they also reward patience as do few other wines. Darker in color than Barolo, tannins are high, but not quite as high as in Barolo. Nonetheless, drunk early, the wines can be powerfully tannic. With time in the bottle, the mico-elements blend together and tannins smooth. Delayed gratification rewards you in the glass with complex, deep wine offering additional notes of fig, carob, aged balsamic and expresso, black tea and cedar with a hint of dried oregano. Considering the required aging of these wines before release and their structure and complexity, with ARPs of $43 and $77 respectively, I consider them bargains. Possible to Have More Than One Favorite? The reservas of Brunello di Montalcino are required to undergo aging of six years before release. Aging benefits these wines but comes with tradeoffs of price too. 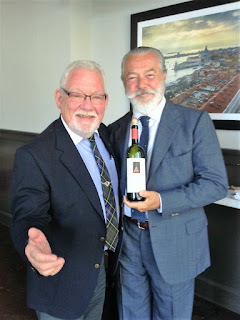 We tasted a 2001, 2004 and 2006 Cold’Orcia Poggio Al Vento Riserva Brunello Di Montalcino. ARPs for these wines average $95, a sum I should point out is considerably less than (to my palate) several less worthy Cabernet Sauvignons. Grapes for these wines are from a select vineyard of sandy, limestone soil (such limestone content and drainage is essential to producing top quality Sangiovese grapes). 48 months aging in large French and Slovenian oak barrels and 2 more years in bottle before release, it is produced only in the best vintage years and in limited quantity. These wines are the ultimate expression of the grape’s potential and from the best terroir. Many professional tasters recommend enjoying these wines 10 years after harvest, and they often retain quality for 25 years. We finished with a Col D’Orcia 2011 Pascena Moscadello, the one wine not of Sangiovese. As the name implies, it is made from the Muscat grape. Too bad this grape has a poor reputation with some because of its inexpensive renderings by wineries having made bulk wine. 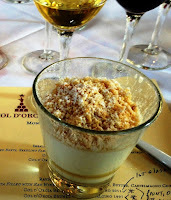 Yes, it’s sweet (it’s a dessert wine). 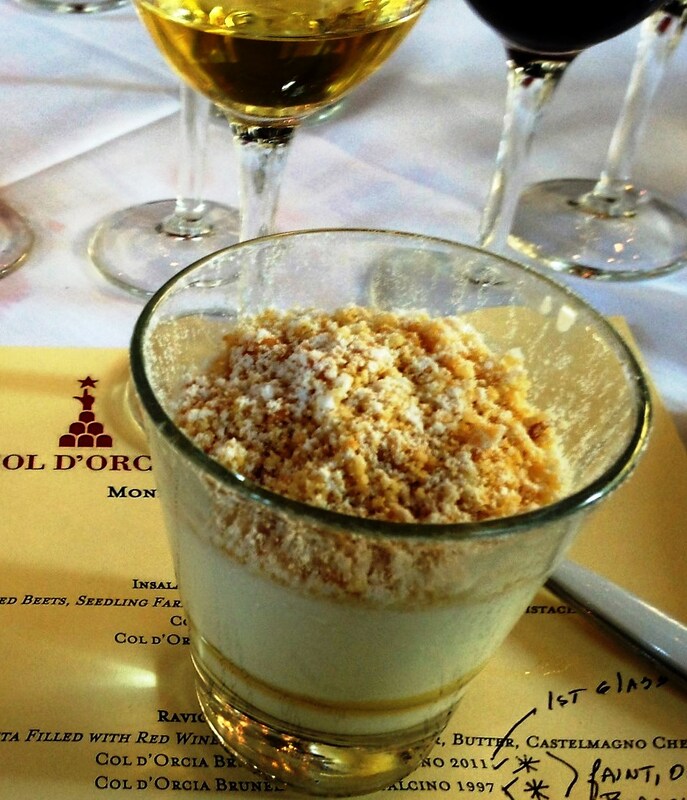 But with the balance of fruit to acid so expertly done, it’s on par with the famous dessert wines of France. A perfect wine to enjoy with blue cheese or Foie Gras, it is made using Muscat a Petits Grains. Forgive me “Big Bird”, but with 200 varieties of Muscat, using “one is not like the other. This wine made from the Petits Grains Muscat offers sweet peach and refreshing tangerine. Aged one year before bottling, it finishes cleaner than most dessert wines I’ve tasted. ARP about $46. All the wines of Col D’Orcia have been certified as organic since 2010. Whether DOGC or DOC (the Pascena Moscadello), the common thread throughout is graceful. These are wines that entice, that suggest, that seduce. To experience what Col D’Orcia does with Sangiovese is to understand what Michelangelo did with marble: a difficult material to work with that yields results sublime and unique and can only be experienced by meeting the difficulty with skill and a commitment to grace. Sangiovese is not just one grape. It’s understandable you would think so. But in fact, it’s a highly adaptive little creature. Until 1879, it was even believed that Sangiovese from Brunello was a separate variety. This is because Sangiovese has somewhat of a chameleon-like character. It grows in both warm and somewhat cooler environments, but too much warmth and its flavors can become diluted. Too cool and the grapes will have high levels of acidity and harsh, unriped tannins. What makes Sangiovese particularly interesting is its ability to morph – actually altering its genetics to fit the environment. * But the various adaptations to terroir will have a substantial impact on the finished product’s aromatic and flavor profile. Throughout Italy (and the new world) there are many different mutants of this Sangiovese (at least 14 different clones exist) and they produce different tasting wines. Sangiovese from Brunello (the DOCG within Chianti) is considered the epitome of the grape’s expression. Limestone, in particular, seems to enhance the wine’s unique and earthy quality. As far back (pre-genetic testing) as 1906 Girolamo Molon discovered that the Italian grape Sangiovese could be broadly classified as Grosso and Piccolo, the Grosso variety being grown in Brunello and producing the highest quality wine. One of two wines tasted before the tasting. Notice the place of origin (Chile). Like many winemakers from around the globe, Col d'Orcia has vineyards in the Maule Valley and produces wine under the Erasmo label. Click this link for more information.